Carolyn Della Foresta remembers being a little girl in 1981 when Almonte Country Haven moved into its current site at 333 Country St. in Almonte, Ont., from its previous location at the local hospital. Her mother was one of Almonte Country Haven’s staff members, and Carolyn was there that day when residents and staff members moved into the new location. But she says what she remembers most vividly were the horses. “I was only six when the transition from the old hospital to the lovely new building happened, and I remember the excitement of the RCMP musical ride performing in our parking lot,” recalls Carolyn, Almonte Country Haven’s administrator. 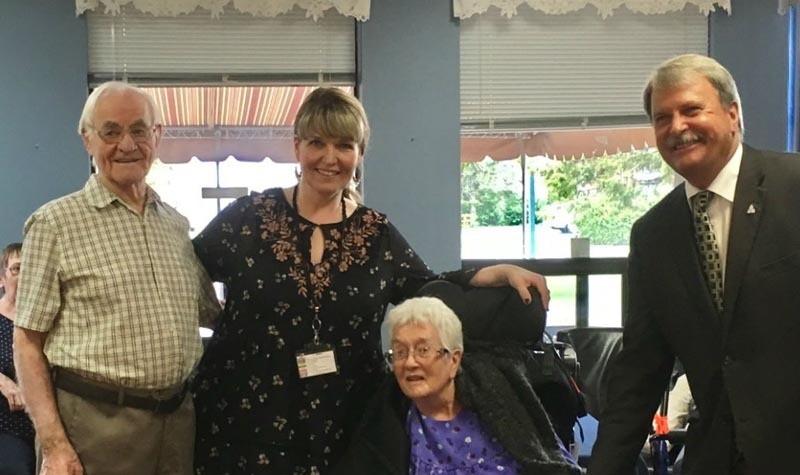 Thirty-seven years later, Carolyn was on hand as an announcement was made May 3 by Carleton-Mississippi Mills MPP Jack MacLaren that Almonte Country Haven had received funding to upgrade the home from 82 beds to 96. “We strongly believe that their engagement in the redevelopment process will result in the best home possible,” she says. Almonte Country Haven is one of four OMNI Health Care long-term care homes to receive funding for redevelopment. Pleasant Meadow Manor (in Norwood) has received funding for a redevelopment project to include 35 new beds, and Woodland Villa (in Long Sault) will be awarded 17 beds. Riverview Manor (in Peterborough) has been approved for a new 160-bed long-term care home to be built. OMNI has long supported the goal of rebuilding and modernizing older long-term care homes in Ontario. Rebuilding and renovating homes will provide more comfortable, home-like rooms and amenities, enhance care and provide greater dignity for residents and families.